Grapeseed oil is extracted from grape seeds. It is light yellow color oil that has a pleasant taste. If you want to prepare any raw food recipes, you can use grapeseed oil for cooking. But, today we are not going to talk about this section. We are going to talk about the benefits of grapeseed oil for face its ingredients and method. For your information, grapeseed oil can balance your problematic skin, and remove scars and blemishes. 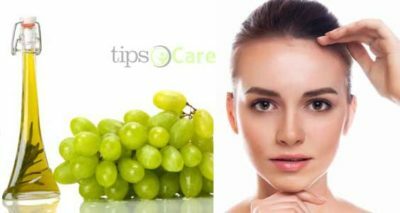 Grapeseed oil can be added to cosmetics industry since it can soften and smooth your skin. Comparing other carrier oils, it contains a high level of linoleic acid. Both men and women can use this. 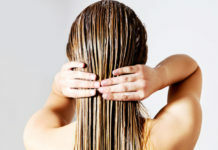 This oil helps to grow thicker hair. Also, it is an affordable natural oil substance, can work as an alternative to market’s creams and lotions. Do you have any interest to know about magical Black seed oil? We have an article one as Black seed oil for skin and the benefits you might be missing. You can read out this amazing article. Now come to the Grapeseed oil one and enjoy the rest. The grapeseed oil contains omega-6 fatty acid and linoleic acid. As your body doesn’t synthesize fatty acid, it is suitable for your skin. This oil also contains some other acids, including Palmitoleic acid, Palmitic Acid, Oleic Acid, Stearic Acid, and Alpha-linolenic acid. Without these fatty acids, you might feel ill. The grapeseed oil for face is similar to vegetable oils because it is edible and also works as a cosmetic application. Whether you have dry or oily skin it is suitable for both types. It contains vitamin E which helps to control the moisture of your skin. The oil doesn’t smell bad, and it is lightweight. Since the compounds of this oil are natural, it can benefit your skin in many ways. Below are some its benefits. Helps to moisturize your skin. Grapeseed oil has a light fragrance. It can be applied to your skin, since it is not too greasy. Regular using this oil keeps your skin soft and smooth. Suitable for your sensitive skin. Grapeseed is called hypo-allergenic oils, because it doesn’t cause any allergic reactions. Many people have the allergy problem, so they can’t use lotions or moisturizers. Since there is no allergic reaction, you can use this oil regularly. Helps to tighten your skin. The grapeseed oil contains many essential astringent properties which help for skin tightening or skin toning. Take care of your oily skin. Oily skins have many disadvantages that almost all of us know. The grapeseed oil for face contains a non-comedogenic moisturizer that can rebalance your oily skin and nourish properly. Moisturizes your scalp. Its natural ingredients protect your scalp from dandruff. Also, it can soften your hair. Using grapeseed oil is very easy. Just pour several drops of oil into your fingertips, and rub it into the skin. If you want optimal benefits, you can follow these tips. Wash your face regularly (at least two times in a day). Take 3 drops of grapeseed oil into your fingertips. Rub oil on your face. Use tissue whether you put on too much oil. Always apply this oil after washing your face properly. Use this oil on your face, hair, and scalp. Regarding problematic area, use extra drops on it. Since it is hypo-allergenic oil, it may have few side effects. After using it, if you find any complication, follow these below tips to avoid side effects. You can understand about its adverse reaction, if you find any red or itchy feelings on your skin. In this situation, stop using it for few a days. If any of your skin portions is extra dry, then rub it more into your skin. Don’t afraid, you can pat it later for the excess amount. Check the expiry date always; don’t continue using after the date has expired. If you have any doubt about the expiry date, leave it. You can use it for cooking. If the color of the oil turned cloudy, or if it smells rancid, through it away immediately. Don’t contaminate the oil by rubbing around the rim. Rather than pour a few drops into your fingertips. Keep your grapeseed oil away from light, heat, and moisture. Also, keep it in a safe place to avoid the glass bottle break. You can use the oil to all over your body. Its high-density lipoprotein lowers the harmful cholesterol. You can replace it with the conditioner. It combats dandruff and bacteria on your scalp. Consuming it regularly reduce the risk of strokes. The oil is useful for improving blood circulation. Men can replace it for shaving creams, lotions, or foams. You will be surprised to hear that grapeseed oil can naturally prevent different types of cancer. Also, it is used for wounds after surgery to reduce the risk of infection. Buying grapeseed oil for face will cost you only a few dimes since is cheaper than other traditional oils. Moreover, a bottle of them can last a long time. 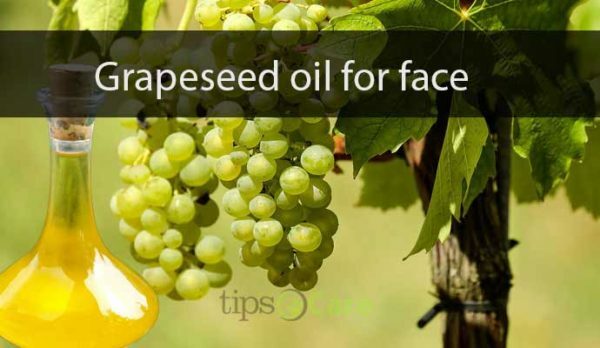 The grapeseed oil for face will not only save your expenses but also provide many health benefits. According to the experts, if you use this oil for a few weeks, you will start to gain healthy looking skins. 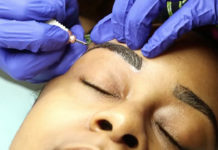 Some of your cosmetics items can be painful since it creates red skin or blemishes. Most of the cosmetics items are full of harmful ingredients, but the grapeseed oil doesn’t contain any potentially dangerous ingredients. If you want to make your entire body glow and get some health benefits, you should consider using this regularly.